SCOTTSDALE, AZ. 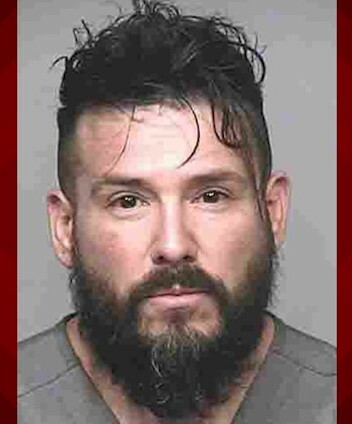 (THECOUNT) — Xavier Perez has been identified as the Scottsdale, Arizona medical worker arrested and charged Wednesday in the sexual assault of a sedated female patient. Perez, 38, was taken into custody after police say officers responded to Integrated Pain Consultants on reports of a sexual assault. The victim reported she had been under sedation for pain treatment to her back and believed she had been sexually assaulted by a male medical worker providing care in the recovery room as she began to regain consciousness, reports 12News. Police said Integrated Pain Consultants has several locations throughout the Valley, and Perez has worked at all of them at different points in time. Perez reportedly admitted to the sexual assault in an interview with police after his arrest. Detectives said Perez told them the sexual assault was a one-time occurrence, but police said they are concerned there may be other victims. Anyone with possible information on this case, or if you believe you or someone you know may have been assaulted by Perez, contact police immediately at 911. Geo quick facts: Scottsdale is a desert city in Arizona east of state capital Phoenix. It’s known for its spa resorts and golf courses, including TPC Scottsdale. Farther north, trails wind through McDowell Sonoran Preserve, a desertscape of hills, rock formations and cacti. Nearby is Taliesin West, architect Frank Lloyd Wright’s former home and studio. Downtown’s Old Town Scottsdale has 1920s buildings and 19th-century olive trees – wikipedia.